Ground floor treatment room in Sandhurst. With ample parking. 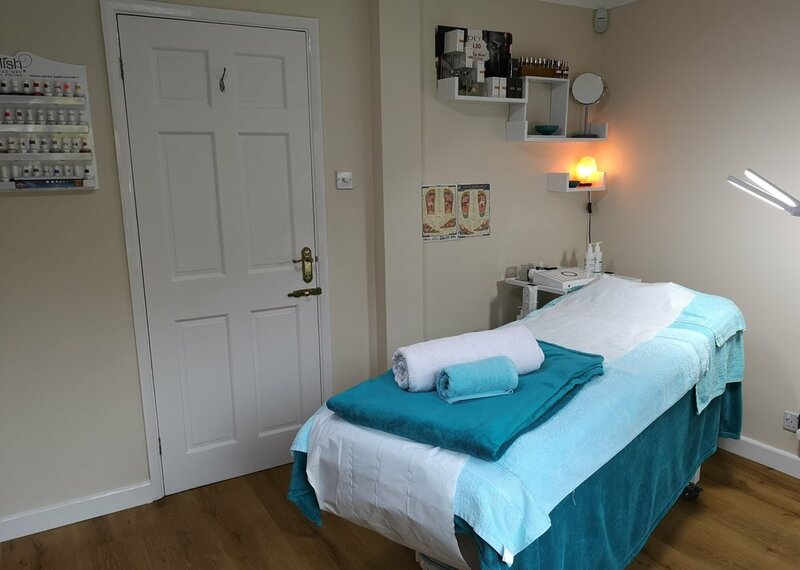 Ground floor, bespoke treatment room at 4 Darleydale Close, with plenty of parking on the drive. I know what busy lives we lead nowadays. I’ve spent the last 20 years building and teaching my craft, as well as raising a family. I know how lovely it is to find a bit of 'me' time in my schedule, but that 'me' time can be hard to come by. This is where I come in to help you get back that time. Local and convenient , with my bespoke, ground floor treatment room. I pride myself on creating a beautiful zone where you can chill out and feel at ease on my comfortable fully electric couch for maximum comfort. It can be confusing with the number of different choices of beauty therapist out there. Do you go to the high street, the fancy spa, or try to do it yourself? Whenever I am looking to do something that involves my body I look for experience and knowledge first of all to make that decision. I am trained with International Health and Beauty Council (IHBC) and International Institute of Health and Holistic Therapists (IIHHT). Some people with private health policies may be able to claim for some of my treatments. I am a member of the Association of Reflexologists (AoR) and British Association of Beauty Therapists and Cosmetologists (BABTAC). I have spent over twenty years working in salons, hotel spas and teaching beauty therapy. I’ve also had the great privilege to have trained with many of the top brands as a facial skincare expert. I also offer a relaxing non-surgical facelift, with great results that feel amazing. I am so excited now to be able to run my own business and help my clients directly. One of my passions (if you want to call it that !) is putting ladies at ease for intimate waxing. I am a Kim Lawless trained (literally one of the best waxing trainers you can get) and have reached the level of expert waxer. No need to be shy, I’ve seen it all before ! Another passion is Reflexology which has taken me on an interesting journey. I have regularly added to my training and incorporated specialist reflexology techniques, for supporting pre-conception (fertility), supporting pregnancy, post-natal and mindfulness for emotional issues. I am continually updating my knowledge and skills in beauty and and holistic treatments. I regularly attend refresher courses, to keep up with the changes in the industry. This year I have completed product conversion with gel nails, waxing updating and am embarking on a two year post graduate course and will be adding a new therapy in 2020. I am also involved in quality assurance of industry training in a private training school. I am an Eve Taylor skincare stockist and am qualified to give skincare advice. Clients are able to benefit from the direct supply chain.